Here at the Ballymaloe Cookery School LitFest HQ is hopping. There's just one month until the third Kerrygold Ballymaloe Literary Festival of Food and Wine kicks off. Becks, Rory and Evelyn are working away behind the scenes like whirling dervishes. We've had lots of great publicity - including a five page spread in the Wall Street Journal magazine which has had a terrific reaction. 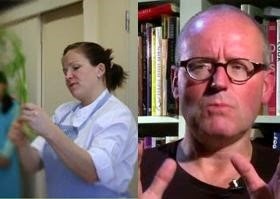 I just want to take a moment to flag up the culinary superstars giving cookery demonstrations during the LitFest this year. How about this for a line-up? April Bloomfield, Sam and Sam Clark of Moro, Allegra McEvedy, Fuchsia Dunlop, A Girl Called Jack, Hugo Arnold & Leylie Hayes of Avoca Cafe and Christian Puglisi. A once in a life-time opportunity perhaps to learn from some more of my favourite chefs and cooks... and taste their food. What to do? I've just had someone on the phone who wanted to book onto all seven, but could only choose two. An unbearable choice! So here's a little background on each one - and there's lots more information on the LitFest.ie website. Tickets are selling out fast, with a bare handful of places left on some... so don't say I didn't warn you! 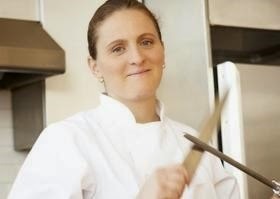 April Bloomfield is considered by many to be the best woman chef in America and this is a rare opportunity to see her cook. April burst on to the New York culinary scene with her cooking at The Spotted Pig gastro-pub in the West Village. Her food is a fusion of the comforting food she remembers from her childhood in Birmingham in England and the Italian influences she picked up cooking at the River Café in London and further influences gleaned at Chez Panisse in Berkeley, California. You can expect fabulous, seasonal, stylish, cool and above all, delicious food from the “queen” of New York cooking. Moro and Morito have a cult following: cool, convivial, trendy surroundings with an atmosphere “that hits you like a wall of joy”. Then of course there is the food with a deliciousness that can only have been created by cooks who love the straight between the two eyes approach to flavour. Lucky for us that the two Sams took off in a camper van before opening Moro, to explore and learn the secrets to the true flavour of the great foods of Spain, Morocco and the Sahara. 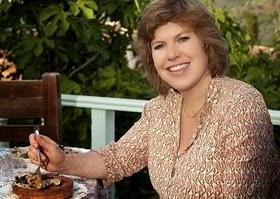 Allegra McEvedy, described by The Independent as "a caterer with conscience" is a chef and author of six books and number of television programs. Allegra has won a whole host of loyal fans for her fresh, quirky dishes made with the freshest, ethically sourced produce - all with a twist. 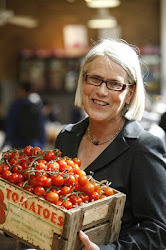 The co-founder of the Leon restaurant group, she has worked in many of London’s best restaurants: Green’s Restaurant & Oyster Bar, The Belvedere in Holland Park, The Groucho Club and The River Café. 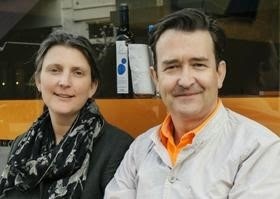 She got her first Head Chef position at Tom Conran’s The Cow in Notting Hill, at the age of 24. Expect a hugely entertaining as well as informative class, with delicious tastings at the end. Fuchsia Dunlop has been described by the Sunday Telegraph as “the best writer in the west on Chinese food” and by Observer Food Monthly as “a world authority on Chinese cooking”. The London Independent ranked her alongside the great literary food writers Elizabeth David and Claudia Roden and Heston Blumenthal. This is a unique opportunity to watch, listen, learn and taste some of the foods of China from one of the world’s greatest experts on the subject. Devotees of the Avoca Cafés will know that apart from the wonderful interiors that await, the next and immediate visual experience is the generous array of colourful food – bejewelled salads of all descriptions, savoury tarts, luscious soups packed with exotic ingredients, relishes, great baskets overflowing with breads, cakes, buns, bracks, ices, sweet tarts, meringues and so much more. Leylie and Hugo will recreate some of that magic during this demonstration. Expect the sort of generous, modern, stylish, health giving food that has kept the Avoca Cafés rocking with very happy and well fed customers for the last three decades. Jack is “a breath of fresh air in the cooking world” – so said Nigel Slater and I quite agree. Jack started writing her blog, A Girl Called Jack, in February 2012, in response to a local councillor who claimed that ‘druggies, drunks and single mums are ruining the High Street.’ What started as a local politics blog developed into budget food and recipes, which were picked up with interest by the national press as she detailed living with her son on a food budget of just £10 a week. 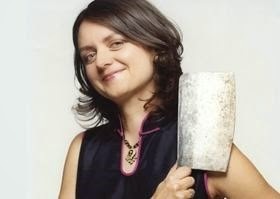 She will demonstrate recipes that were recorded on her blog and subsequently in her book also called A Girl Called Jack. Copenhagen has been the "go to" city in the world for the last few years for those in search of the most interesting, cutting edge and forward thinking food. 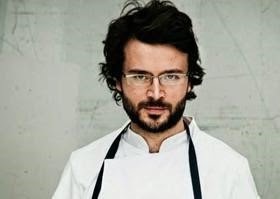 The Nordic Food Revolution is now well documented and Christian Puglisi has been part of that movement of chefs who have made the whole world sit up and listen and look on in awe as they created a new style of cooking that can leave the diner breathless by the sheer wizardry of their creations. From this cookery demonstration you can expect sensational dishes created by one of the new masters of world cuisine – dishes that will make you look again at food in a way that you may not have done for a long time. Don't miss this!